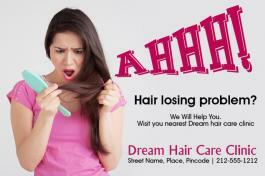 No doubt you are going to grab large slice of market share by attracting more customers to your hair care salon. This can be easily done with this custom 4x6 inch square corner hair care magnets – 20 MIL. These magnets are created using high quality magnetic material, which ensures good visibility and shelf life to your business messages! It aptly suits hair care salons, hair care supplies and other beauty marketers trying to attract customers to their business. Request a quote to know pricing benefits that can be availed on bulk ordering this customized 4x6 inch square corner hair care magnets – 20 MIL.